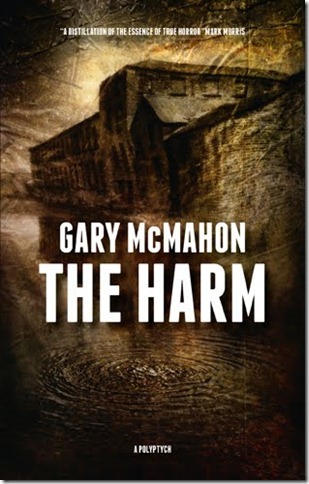 Gary McMahon is one of the most recognisable names in British horror today. Having penned the novels Pretty Little Dead Things, The Concrete Grove et al he has also made waves in the short story world. Recently he provided the fantastic The Ghost of Rain in Dark Minds and the short What They Hear In The Dark for Spectral Press. I decided to catch up with Gary to see if he could impart some of his short story wisdom my way. How does the writing and preparation process differ when writing a short story as opposed to a novel? GM: I’ve learned that I have to at least briefly outline my novels, usually on a chapter by chapter basis. With a short story I can produce an initial draft in one manic sitting. For me, a short story is all about catching the essence of a single moment, a mood, a tone, or a rhythm, and maintaining that for the duration of the tale. A novel has a lot of different rhythms, and the trick is to keep them all going until you reach the end. A lot of preparation goes into character development for novel writing, is the same true for a short story? GM: I think short stories are more about sketching a character, showing just enough to make a reader care. With a novel you have the time (and the need) to show a lot more. They’re completely different beasts. What’s the quickest you have written a short story? GM: I wrote a story called Pumpkin Night for an ezine called The Estronomicon in less than two hours one night, sent it out and had it accepted immediately the following morning. That’s probably the quickest I’ve ever written a short story. The irony is, that story is now my most reprinted piece: it was in the original ezine, I included it in my short story collection How to Make Monsters, Steve Jones picked it up for The Mammoth Book of Best New Horror, it appeared as an audio story on a website called Dark Fiction Magazine, and recently it was bought by Paula Guran for a reprint anthology of Halloween stories and will appear alongside stories by Ray Bradbury, Joe R. Lansdale and Peter Straub (among others). Is there such a thing as the perfect short story? Can you cite examples? Is it harder to write a short story or a novel? GM: For me, short stories are easier. I’m just naturally more comfortable with the shorter form. 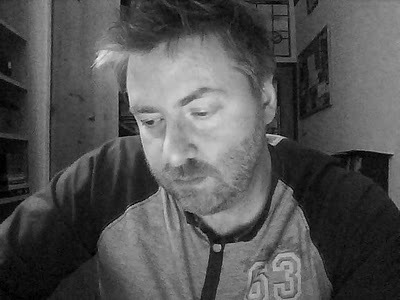 Novels are much more of a long slog; you end up having to write them when the inspiration you initially had is dried up. With short stories, you get to finish them while the fire is still in your belly. What advice do you have for those about to embark on writing a short story? GM: Simple: read the best the field has to offer. Don’t mess about with the sub-standard stuff, just go for the best short stories and learn everything you can from them. Read them. Re-read them. Read them again. Read them until you can see the nuts and bolts, and then keep reading them until you stop seeing that and start to see the poetry again. Are there any absolute no-go areas in short story writing and things to stay away from? GM: That’s a tough question. Personally, I think it’s all “meat for the beast”. As long as it’s done skilfully and with care and craftsmanship, I think any subject can be tackled in a short story. I can’t really think of a topic I’d deliberately stay away from, but there are probably a few I don’t feel qualified or talented enough to tackle. What are the best and worst things about writing short stories? GM: The best thing about writing a short story is that it doesn’t go on forever. The worst thing about writing a short story is that it doesn’t go on forever. What are the key ingredients for a successful short story? GM: If I knew that, I’d bottle it. And then I’d hide the bottle on a high shelf somewhere, where nobody else could get to it.